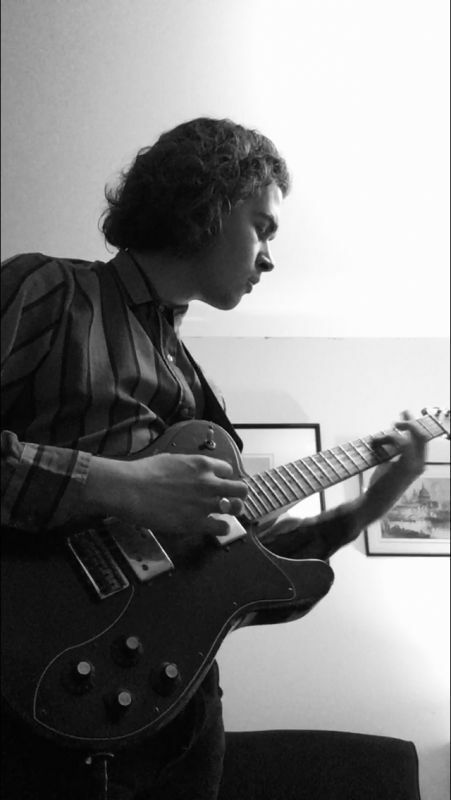 My name is Toby Fountain, a guitarist, songwriter and producer, who has recently graduated from the Institute of Contemporary Music Performance studying guitar. My philosophy is to customise my guitar teaching around each student’s individual goals and identity as a musician. Too often, young students are put off music education by uninspiring teaching that ignores their own aspirations as musicians, and merely teaches them what they ‘should learn’ rather than what they want to learn. Whether you want to learn how to strum a few chords, master the art of improvisation, prepare for an exam, or learn how to write your own songs in an interesting and original way, I am happy to adapt my teaching in a manner that suits your own individual goals to achieve maximum satisfaction. As a guitarist I am an experienced performer and composer in a very broad array of styles, ranging from jazz, blues, rock, indie and folk. Currently I am a member of experimental post-punk outfit Body Horror, as well as working on my own solo electronic and folk projects. I am based in Walford just outside and Ross-on-Wye and am happy to host lessons or come to you. Contact me on 07807390488 or tobyfountain54@gmail.com for more information.